1.1 Here I will explain drop down using SQL server 2008 R2 stored procedure and C# function. 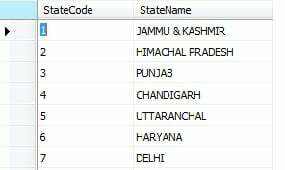 Here I will explain drop down using SQL server 2008 R2 stored procedure and C# function. 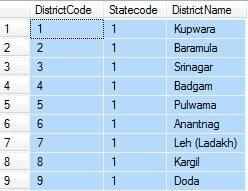 Here I will explained how to populate drop down based on another drop down with help of SQL server 2008 R2 Stored Procedure and C# function. A stored procedure is nothing more than SQL code save to reuse. If a repetitive SQL query has to execute with in an application, then the best way for it is use store procedure.